We make a lot of DIY things at home on our own but probably this is the first time we are coming up with such an extraordinary useful project. Earphone is our regular life companion and we need it most of the time to listen to music and radios. But the quality of the Earphone should be always good. Normally when we get a new earphone the ear buds do a lot of great service but with time slowly these buds gets lost here and there. But we say that just only an ear bud can’t be a cause of rejecting an earphone. 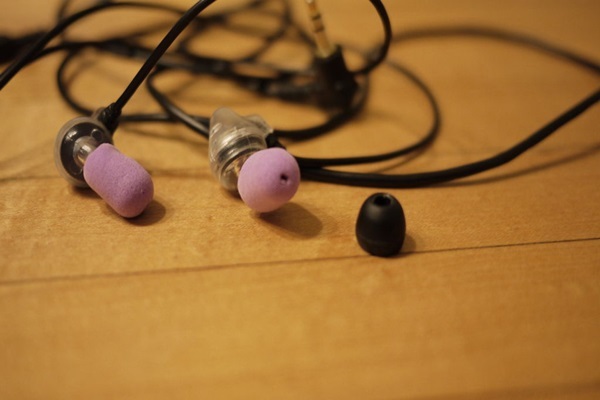 There is a way by which you can make out an ear bud completely on your own with just some easy steps. First of all you should know that using an ear bud cancels out a lot of noise going on around you better than the stock buds. And it will never slide out from your ear and will really give a much comfortable feel. Listening to songs should always be comfortable or otherwise it will not affect your mind and soul. The most interesting part of this project is that you can make it in just 5 minutes. Patience and good crafts skill. as it varies with different earphones. Now next you will have to shape the piece of earplugs. Here now discard the tips and to make it slightly oval and barrel shaped. Actually you will have to discard the tips and keep up the bases. Arrange for a sharp object for making a hole through the earplug. Now take that sharp object and poke a hole through the centre. Wriggle it around to create a hole so that you can insert the wire through it. Here you can see that the author has used nail but you can also use other various sharp objects. Now you will have to stretch the earplug over the bare earphone. At first it may take a few tries to enter the hole completely so don’t get confused with that. If your hole is small it will be good enough and stable. Press it together very tightly to compress it and put it in your ear after a few seconds. Now you will see that the ear phone is completely ready to use and can is quite small when it got compressed. After you insert the headphone in your ear, it will take the shape of your ear by expanding in the ear which ensures a perfect seal and will not slide out from the ear. This DIY product tutorial is brought by ngag.com and after seeing it there we thought of rewriting this article for you all for the ease of understanding. This can be either used as a substitute of a readymade earphone or a substance to cancel more noise going on around you. For those who really love this awesome DIY project, give great thanks to the original writer and here we are just reaching such a useful tutorial to you and showcasing the original author’s talent. Actually the best part of this tutorial is that it is so easy and simple that it can be made by even a child by seeing the pictures. It will hardly take a few minutes so what is necessity of thinking a lot about that? Now please jump into the project if you really need it.